Multiple sources are reporting the rumored deal between the Philadelphia 76ers and the Boston Celtics for the top pick of the 2017 NBA Draft has been agreed to, though for the moment, details are still unclear as to what exactly the deal will entail. 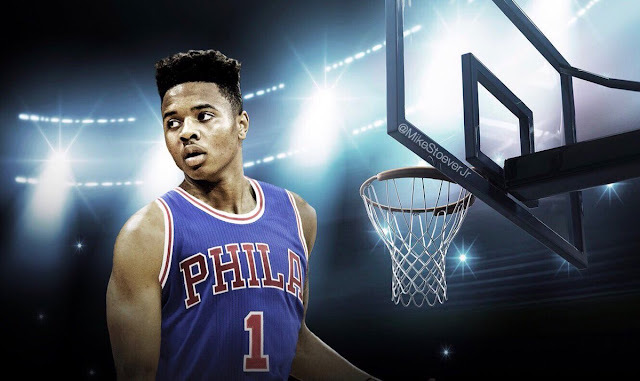 Sources: For top pick, Sixers planning to send Celtics '17 No. 3 overall pick, '18 FRP (via LA) and '19 FRP (via Kings) - w/ protections. What we do know is that the 2018 Los Angeles Lakers first round pick, the Sacramento Kings 2019 first-round pick and this year's third overall pick are in play, with some as-of-yet-unnamed protections. Those details will be revealed soon, however, as the deal will reportedly be finalized Monday. Expect more news shortly on this developing story. Updated Trade: Woj inaccurately initially stated the Celtics were getting two additional picks to swap down from #1 to #3. Celtics are only getting one. If the Lakers pick falls between 2-5 in 2018 that will be the pick. If it ends up #1 or 6-30, Philly keeps the pick and the Celtics get Sacramento's 2019 1st rounder.